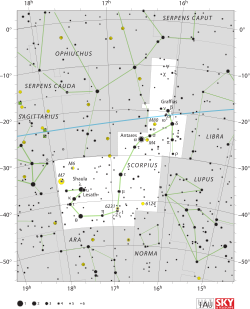 Scorpius (Latin for scorpion, symbol , Unicode ♏) is one of the constellations of the zodiac. In western astrology it is also known as "Scorpio". It is a large constellation in the Southern Hemisphere near the center of the Milky Way.